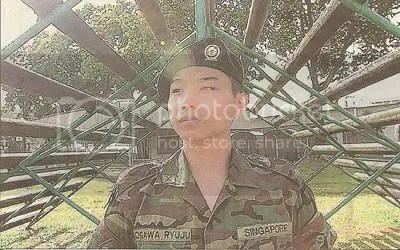 Meet Ogawa Ryuju (小川竜树), a 20 years old teenager whose otoosan is Japanese and okaasan is Singaporean. Together with his mother, he migrated to Singapore at a young age and was educated in a local school. The above is a summary of an article I read in the local Chinese newspaper. Those interested to find out more, the full story (in Chinese) can be found here. Sup Gordon, thanks for leaving that comment and clicking the ad(I really much thank Danny for creating such a thing called otaku.fm). Thought I’d return the favour, and add that a 20 year-old (as stated in your post) is not a teenager any more. >_< ;; It’s good to keep in touch with your fellow Singaporean citizens, no? Hit me back whenever you have the time. ak, no problems. i’ll visit often. hope u come often too. cheers. Correction, Ogawa Ryuju is still 19 as of today, he’s birthday is on the 31 aug. cheers.